PATNA: A dream about quake spurred a deadly tempest in the Indian state of Bihar, landing at least 100 students on the hospital beds. The bizarre incident took place at Biharsharif railway station in Nalanda district on early Sunday morning. As per reports, thousands of students had reached Biharsharif town to appear at a technical examination. While some stayed at the hotel, the poor students took shelter at the railway station itself and waited for next few hours to sit in the examination. In the meanwhile, one of the students sleeping at the station dreamt of earthquake and then started screaming about the quake in sleep. The sound of asbestos sheets falling apart due to winds led the rest of sleeping students believe that it was a tremor as they and started fleeing in a huff to save themselves, leading to virtual stampede. Officials said at least 100 students suffered injuries in the stampede. The wounded students were later admitted to a local government hospital for treatment. Authorities said quite many students suffered fractured injuries and had to skip examination. “The stampede occurred due to rumours about quake and injured students are being treated at the hospital,” local district magistrate Thiagrajan SM told the media today. 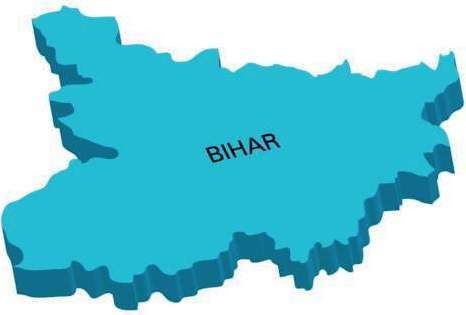 Around 10,000 students hailing from various districts of Bihar had reached the town for the examination for which 13 centres had been set up.